The sketch was a spoof on the sci-fi story The Invisible Man called "Mrs. Invisible Man." They may have been minor sidekicks, but the performers had Oscar-worthy chops. Let's raise a goblet to the first network high fantasy series. George Peppard perfected the whole charm-and-cigars thing long before The A-Team. He played a different kind of doctor. The iconic Batman actor played more DC characters than you realized. Hang out with some classic cowboys every Sunday afternoon. If you've ever made a typo with the Star Trek star, you are excused. Let's not forget Electra Woman and Web Woman. Not even Shaft, the Rifleman and a Baldwin could make these a hit. The Talosians and Vina get a makeover in this direct tie-in to "The Cage." The actor's sense of humor wasn't just showcased on the small screen. R.I.P. Morgan Woodward, the first man to undergo the "Vulcan mind meld." The actor who guest-starred in a record 19 episodes of 'Gunsmoke' died at 93. To quote Beyonce, "If you liked it, then you should have put a ring on it." The Picard actor worried his return would be "jokey." 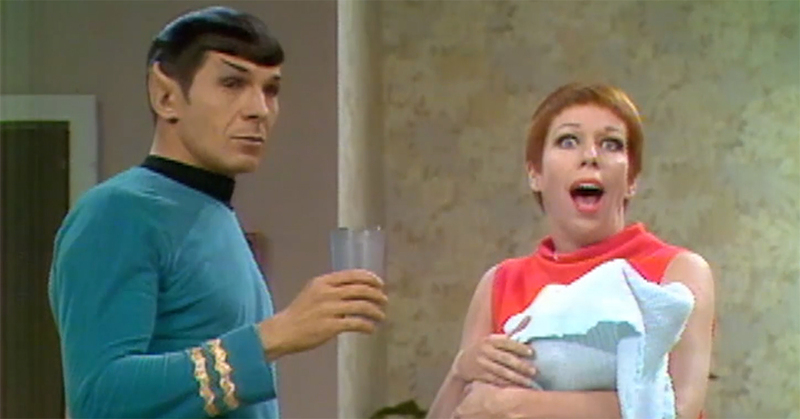 The fascinating origin of how "Fascinating" helped define Mr. Spock. Tune in to see the classic 'Adventures of Superman' and 'Batman' every Saturday and Sunday morning. Dive into the many personalities of this unique action show. Sammo Hung and Arsenio Hall made one of the more unlikely action hits of the 1990s. Tom Selleck's college roommate appeared on MacGyver, Hunter and more. On November 25, the actor passed away at the age of 95. Star Trek is one big happy family. Even if it's work. Police were everywhere on TV, ranging from steely to silly. You'll never think of reindeer the same way again. Kirk, is that you out there? The Marvel icon dies at 95.